Mercedes Smart Car prove that their tagline 'Smart - Fun for Two' is true. This expertly executed online video comes from the creative teams at Weapon7 / AMV BDDO. 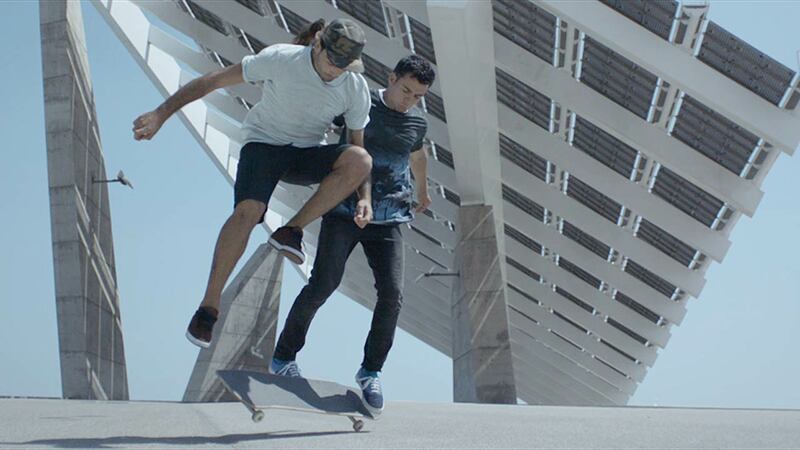 Directed by Pulse Films' Ben Newman, and with post done at The Mill, this 90 second viral features two professional skateboarders (Kilian Martin and Alfredo Urbon) and one oversized board. The film demonstrates an awesome montage of skate tricks meant for one but adapted for two, perfectly pairing it with Smart Car's tagline 'Smart - Fun for Two'. "We couldn't wait to get started on this one" remembers Mill VFX Producer Cat Scott "we were really excited when we got the brief. The dual kick flip they perform in the film is the first time this trick has ever been captured in camera with two people!"